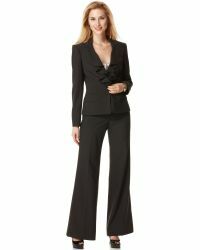 Business looks have never been so elegant thanks to Anne Klein's suits. 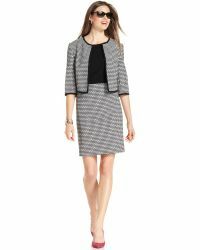 From professional dresses to contemporary jackets, the brand offers you everything you need to look confident and powerful and to be office-ready in any working situation. Invest in simple A-line dresses and perfectly tailored shapes with added femininity. Discover new colors combinations and create your perfect formal closet with accessories that show off your style. Opt for structured pieces and soft silhouettes to feel comfortable all day. 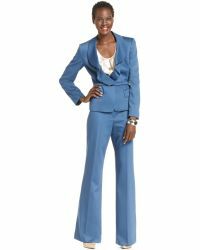 Separates include skirts, jackets and pants, ensuring easy mix-and-match style.